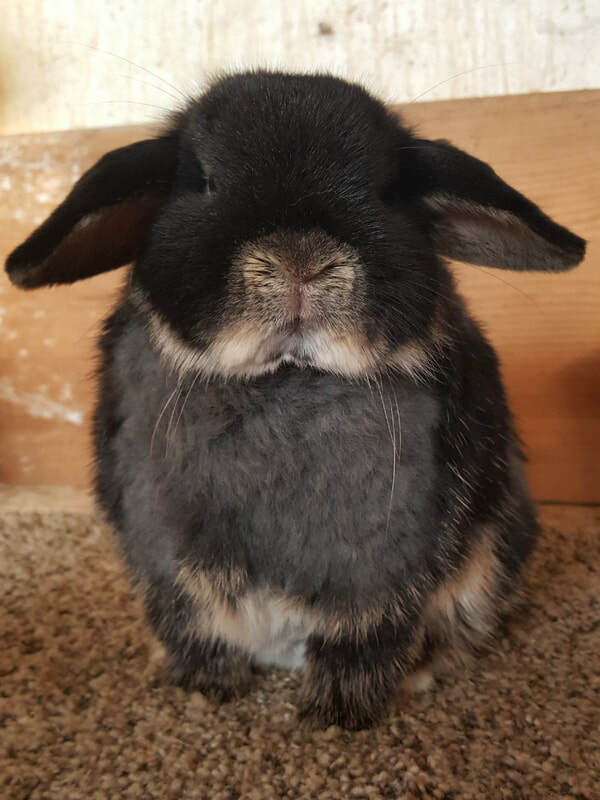 These older bunnies are looking for new homes to help someone else to improve their breeding program or to just be a loving pet! 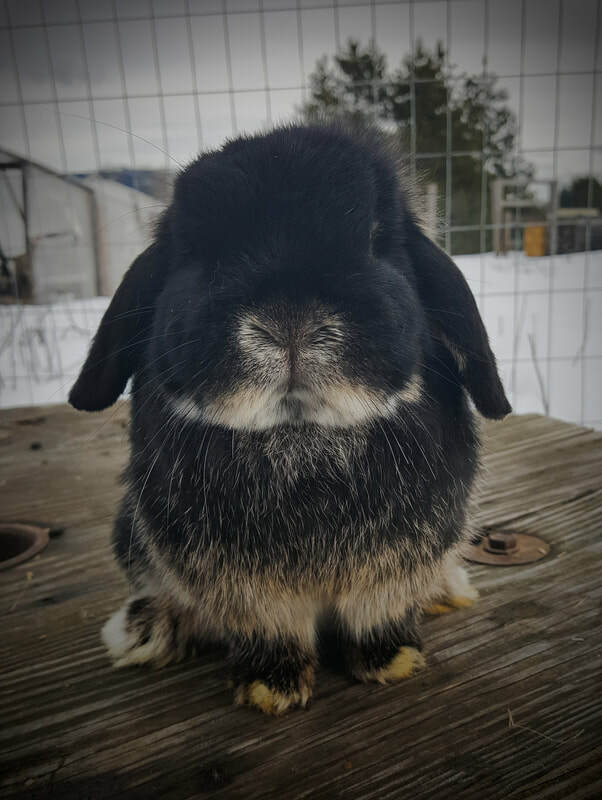 This adorable little squirt is from Linda's Lovable Lops. I am helping her sell some of her stock that she cant show but would make great pets or breeders! His momma ate his ear at birth but he is so tiny and cute otherwise! Blue Boy is a cute little blue otter of J.J's. 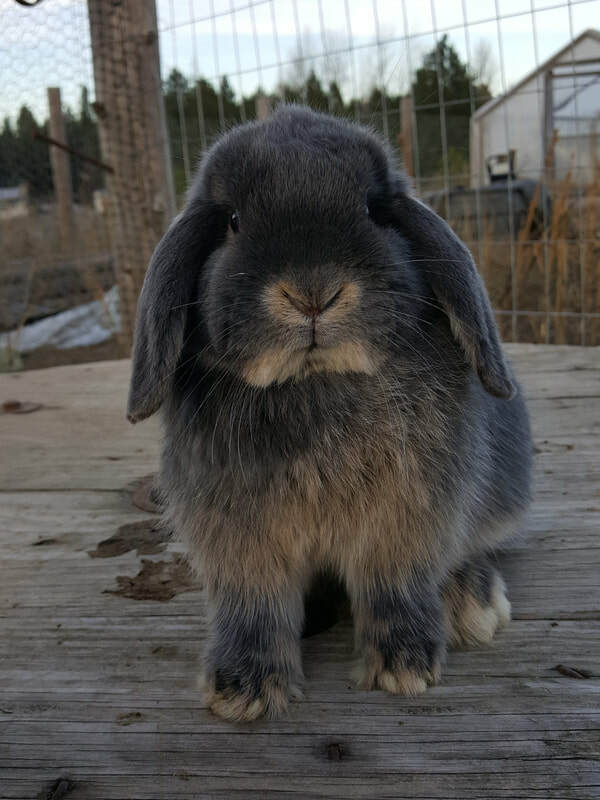 He is an active boy and throws nice thick healthy babies. Micah doesn't have the best crown but she has an awesome body! She is petite and round. She and her sister decided to eat eachother's hair, so I had to separate them and give them mineral wheels. The hair is growing back nicely. She will make a nice pet! Little Mel (Mellow) is a sweet little black otter who never grew to breeding potential but instead has become the sweetest little girl! 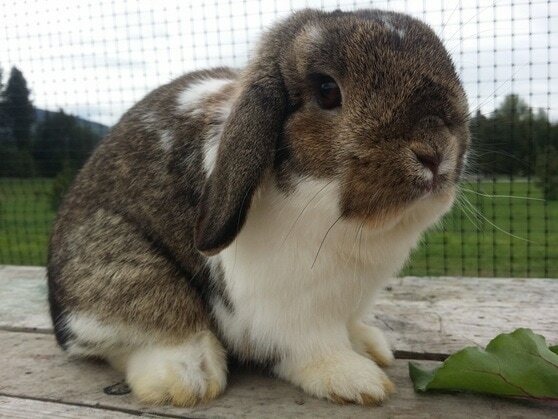 She loves attention and would make a wonderful house bunny or 4H companion. 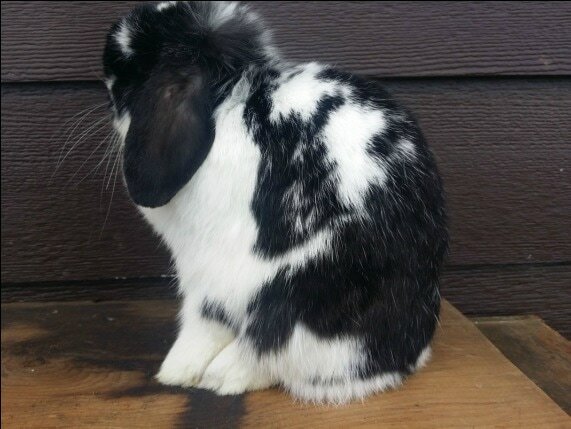 A home with children is a must for this bunny! ​Chester is a broken chestnut buck. He is proven and has given our barn some beautiful babies! Unfortunately, we are buck heavy right now and need to share some of our handsome boys with others! He is a little scruffy from a couple confrontations with a cage neighbor, but he is a sweet boy! ​Shadow has been a wonderful asset to our barn! She has given us some beautiful babies as well as been a foster mom to neglected or malnourished kits. She always has good sized litters of healthy babies with easy deliveries! Her two faults are her tight crown which causes one ear to stand uo and her carrying of the fuzzy gene which passes to her babies. I am reducing my herd a bit and need to move past these slight faults. Shadow will make a fantastic addition to a beginning breeding program and would pair well with the chestnut buck I also have available! Don't see what you are looking for? Check out our babies in the nestbox!